Shirin Shafaie is a lecturer at SOAS, University of London, and a post-doctoral Research Fellow at the Centre for Muslim-Christian Studies (CMCS) in Oxford, UK. 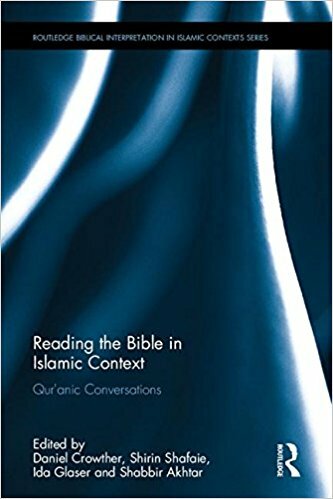 This book explores the ways in which an awareness of Islam and the Qur’an can change the way in which the Bible is read. The contributors come from both Muslim and Christian backgrounds, bring various levels of commitment to the Qur’an and the Bible as Scripture, and often have significantly different perspectives. The first section of the book contains chapters that compare the report of an event in the Bible with a report of the same event in the Qur’an. The second section addresses Muslim readings of the Bible and biblical tradition and looks at how Muslims might regard the Bible - Can they recognise it as Scripture ? If so, what does that mean, and how does it relate to the Qur’an as Scripture ? Similarly, how might Christian readers regard the Qur’an ? The final section explores different analogies for understanding the Bible in relation to the Qur’an. The book concludes with a reflection upon the particular challenges that await Muslim scholars who seek to respond to Jewish and Christian understandings of the Jewish and Christian scriptures.